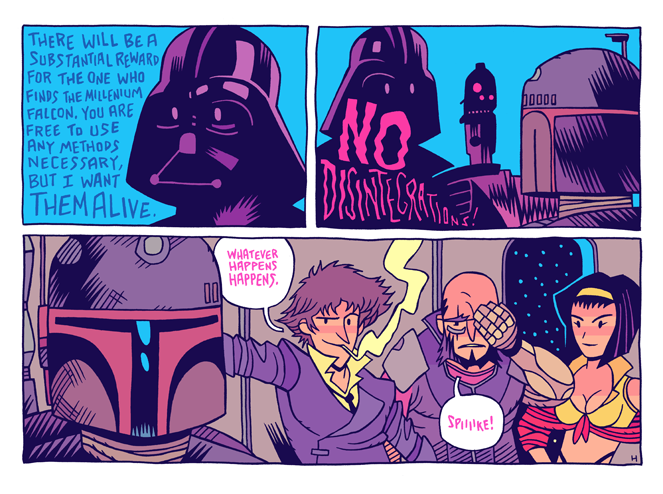 MISTERHIPP: BOUNTY HUNTERS, WE DON’T NEED THEIR SCUM! BOUNTY HUNTERS, WE DON’T NEED THEIR SCUM! Have to love Cowboy bebop! AWESOME! love your stuff Mr. Hipp.